Floor was quite a treat! I think the next few years we are going to see quite a change in the US floor offerings. We are seeing quite a few girls who can tumble AND dance in the mix! Not to be missed is my favorite routine of the meet – Laurie Hernandez and McKayla Maroney’s new floor routine. The balance beam tooks its fair share of victims, especially in the junior ranks. Many impressive beam routines fell victim to, well a fall. However, all the beam routines you see below are well worth your time watching they are beautiful! Most especially Norah Flatley, who has been a you tube sensation on beam for many years. 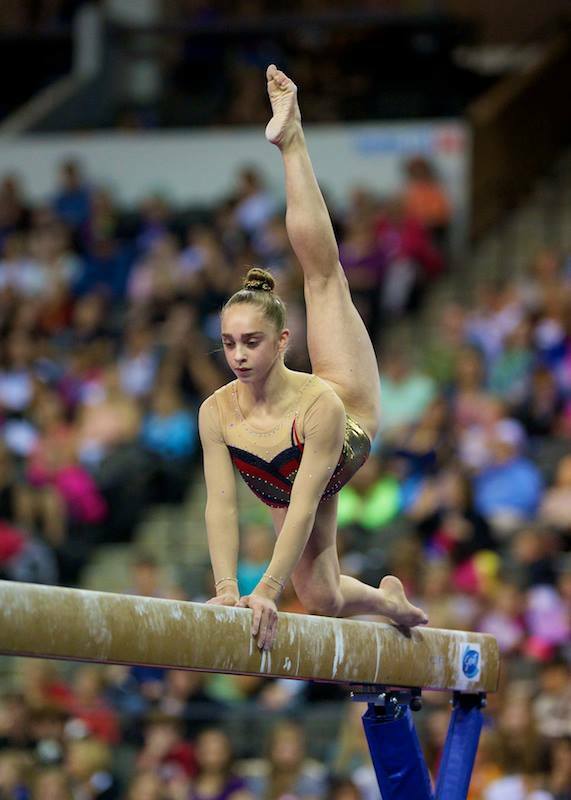 Her elite beam debut did not disappoint! There were lots of attempts at some high flying skills on bars, but in the end, clean and consistent won the day. All videos are from USA Gymnastics.